Holiday packing is always a nightmare! I spend weeks thinking about what to take, then try and pack as much as I can into every nook and cranny in the suitcase ,and can barely lift it. 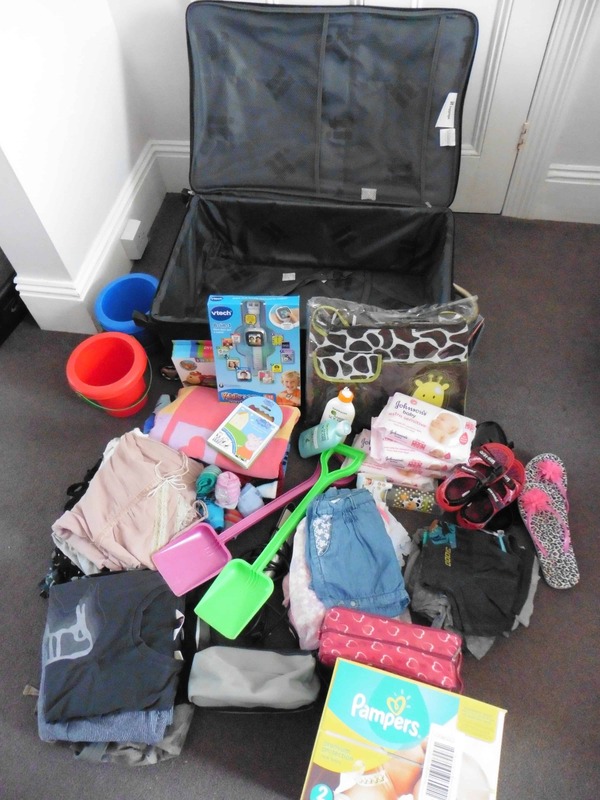 Holiday Extras have challenged me to see how quick I could pack my suitcase so I took them on and packed my holiday essentials along with some goodies that Holiday Extras sent us that are great for family holidays. As you can see I managed to pack our family suitcase in 1 minute 1 second!! Yay, all ready for my holiday at the end of July, although I may go back and squeeze a few more items in over the next few weeks. Do you have any top packing tips that you’d like to share? This entry was posted in Day to Day, Reviews and tagged holiday, packing, suitcase, tips by Fiona Martin. Bookmark the permalink. I always split our clothes across the cases (if flying) so that if one case gets lost in transit we’ve still all got underwear and some clothing etc to keep us going. i always keep clothing in ziplock bag cos i can reduce the volume and also keep it away from getting wet! You do well in a min and a second! You were quick 😀 Some great tips there, I always leave nappies and underwear until last to slot it into the spaces.